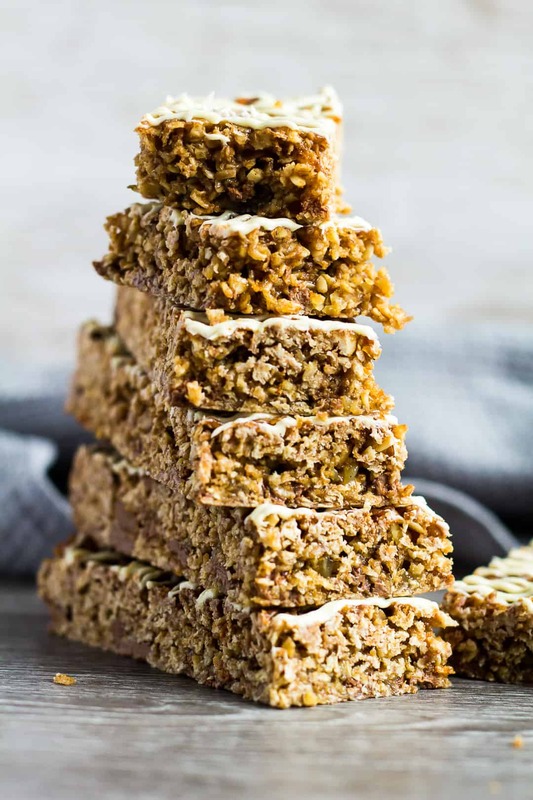 Hot Cross Bun Spiced Flapjacks – These deliciously chewy flapjacks taste just like hot cross buns. They’re thick and gooey, perfectly spiced, and topped with a drizzle of white chocolate! If you’re a big fan of Hot Cross Buns, then you’ll love today’s recipe. I made flapjacks that taste just like hot cross buns, and they are AMAZING. Seriously, you are gonna love these chewy, gooey bars that are flavoured with warm spices. They are much easier and quicker to make than hot cross buns, and you’ll want to make them time and time again! 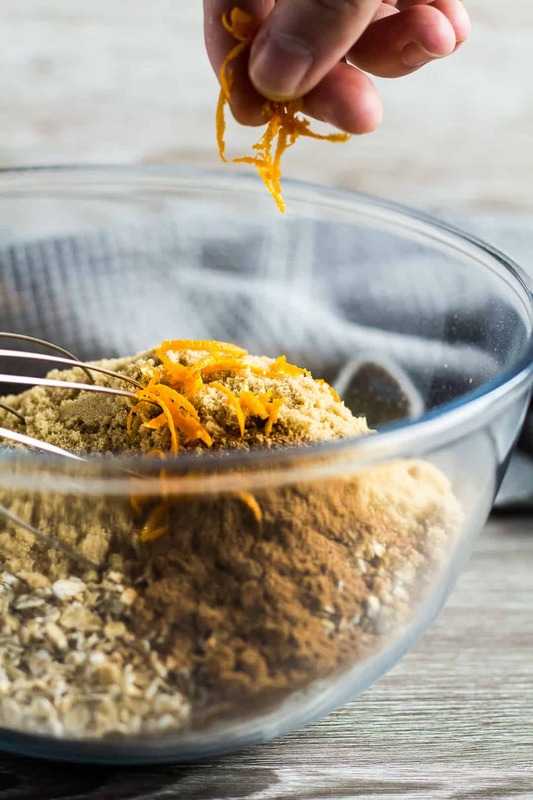 To make these delicious flapjacks, simply whisk together the oats, sugar, spices, and orange zest. Toss in the chocolate chips. Next, pour in the melted butter and golden syrup. 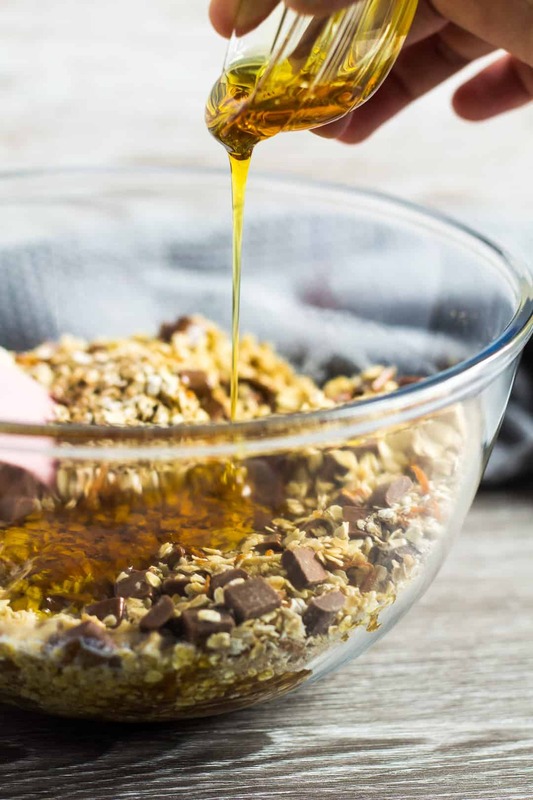 I use 4 whole tablespoons of golden syrup to create extra gooey flapjacks. 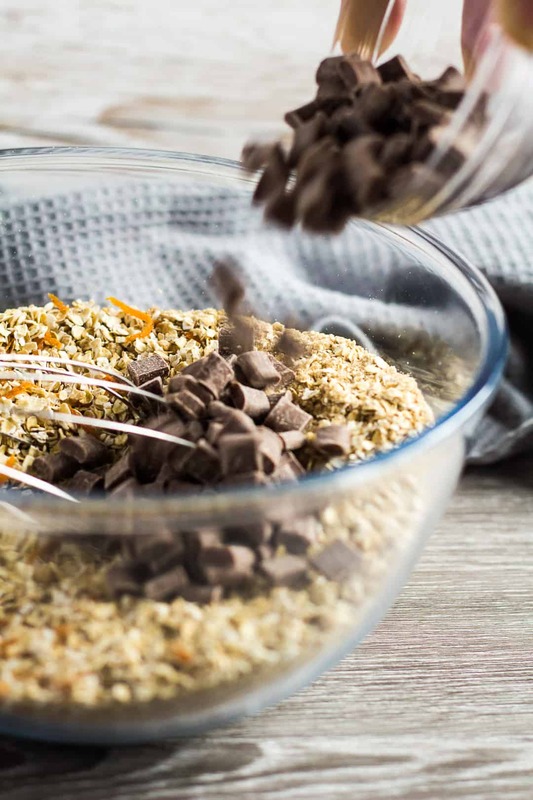 Mix until completely combined, and the oats mixture is fully coated. Firmly press the mixture into an 8×8-inch square baking pan lined with parchment or foil. Bake for 15 – 20 minutes or until golden brown. Allow to cool completely in the pan before cutting up into bars. Once cooled, top these flapjacks with a drizzle of white chocolate, if desired! incredibly gooey – no dry flapjacks here! This recipe makes 16 squares, or you can cut them up into about 10 long bars (as pictured). 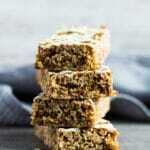 Leftover flapjacks can be stored at room temperature in an airtight container for up to 4 days. Perfect for when guests turn up, or for when a craving kicks in. 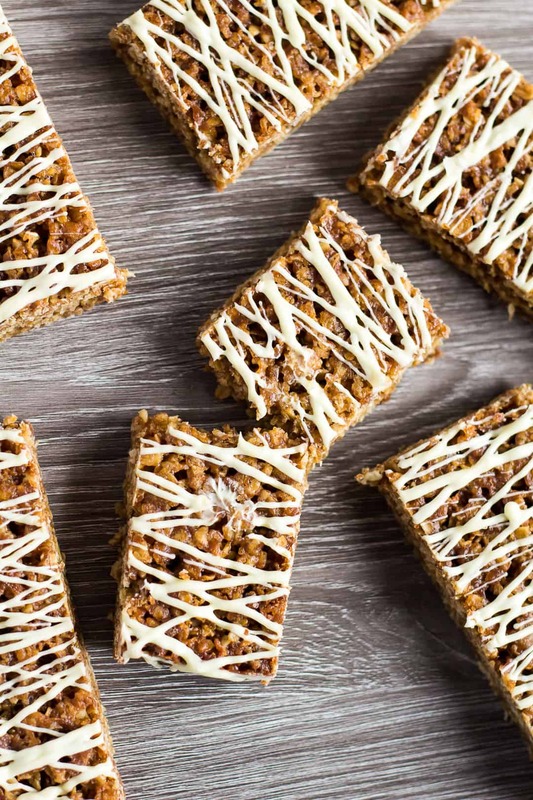 Forget Easter, you’ll want to be making these flapjacks all year round! 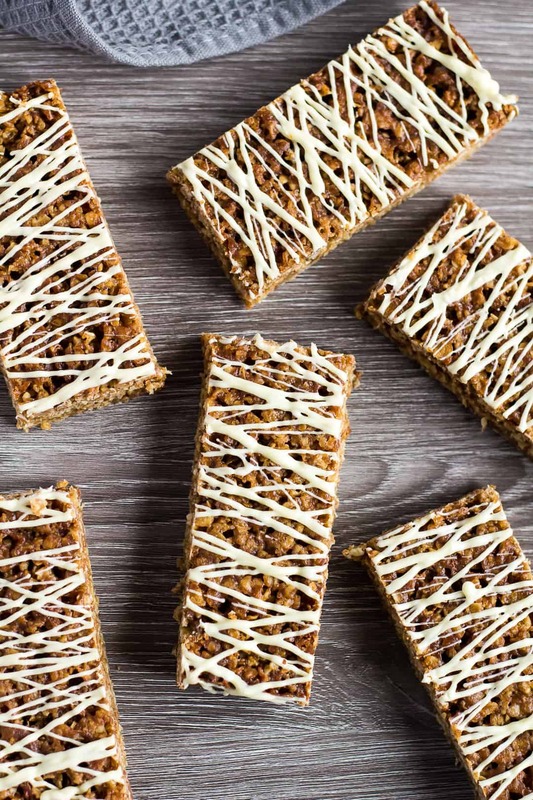 These deliciously chewy flapjacks taste just like hot cross buns. They're thick and gooey, perfectly spiced, and topped with a drizzle of white chocolate! 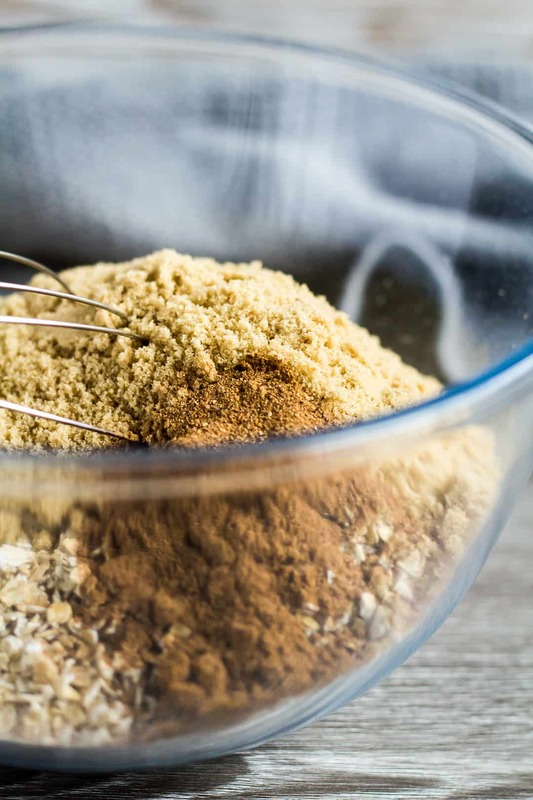 In a large bowl, whisk together the oats, sugar, spices, and zest. Toss in the chocolate chips. Add the butter and golden syrup, and mix until the oats mixture is fully coated. Spoon the mixture into the prepared pan, and spread out evenly, pressing firmly. Bake for about 15 - 20 minutes until golden brown. Leave to cool completely in the pan on a wire rack before cutting into bars. In a microwave-safe bowl, heat the white chocolate in 20 second intervals, stirring after each one, until melted and smooth. Drizzle over the cooled flapjacks and allow to set. 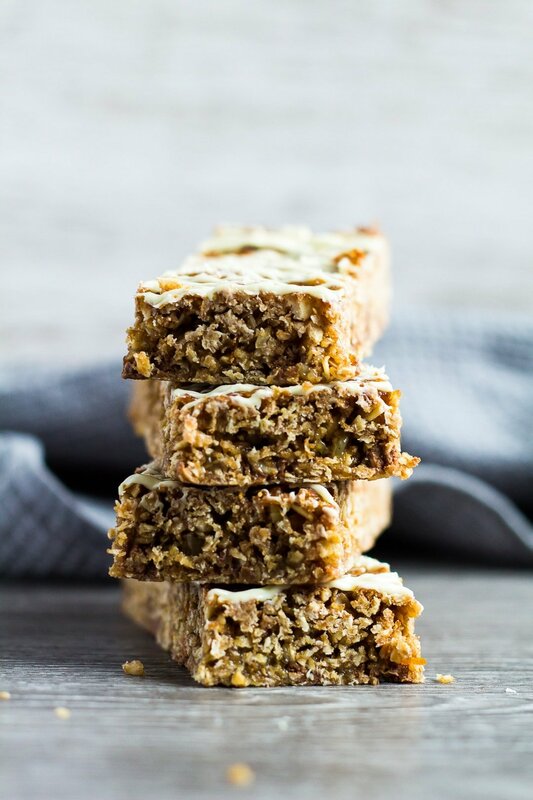 Leftover flapjacks can be stored at room temperature in an airtight container for up to 4 days. *For 16 smaller bars, 240 calories each.